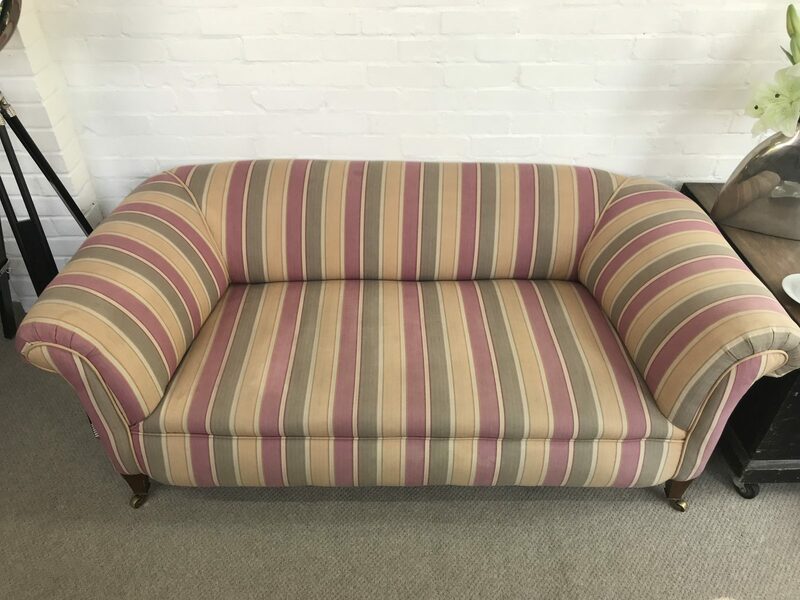 Stunning Antique Edwardian Chesterfield Sofa. 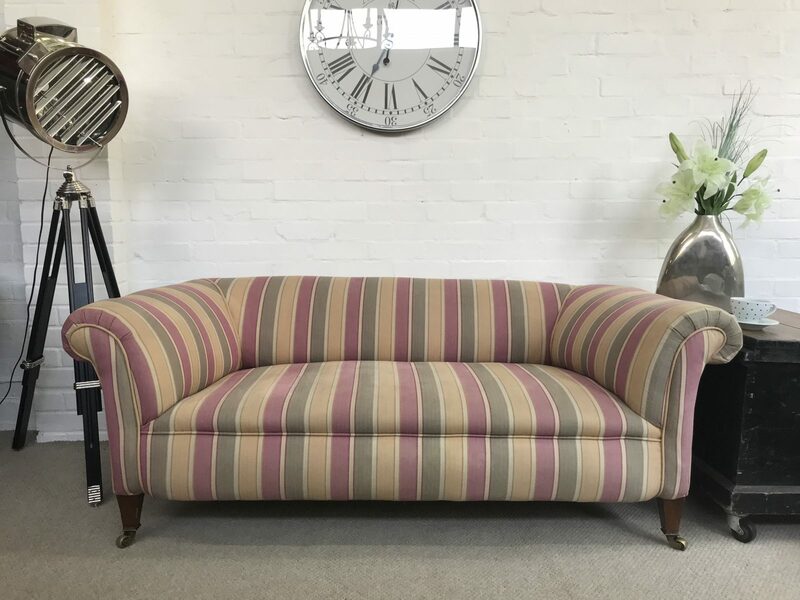 Enquiry about Stunning Antique Edwardian Chesterfield Sofa. 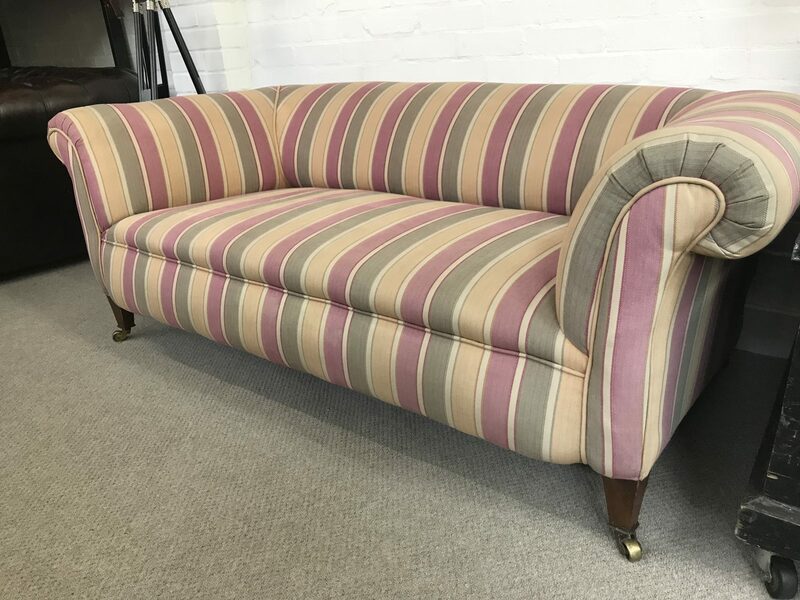 This stunning 2/3 seater antique Edwardian chesterfield sofa sits on mahogany legs with its original brass casters. 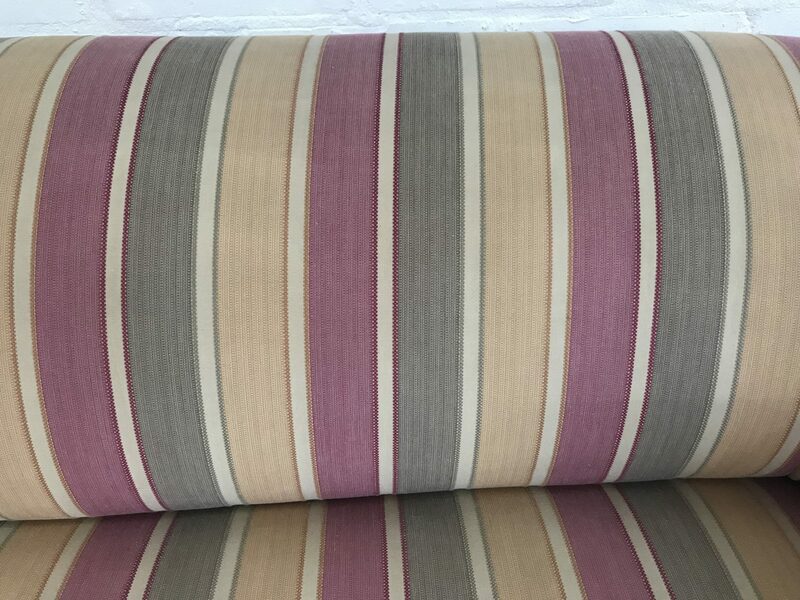 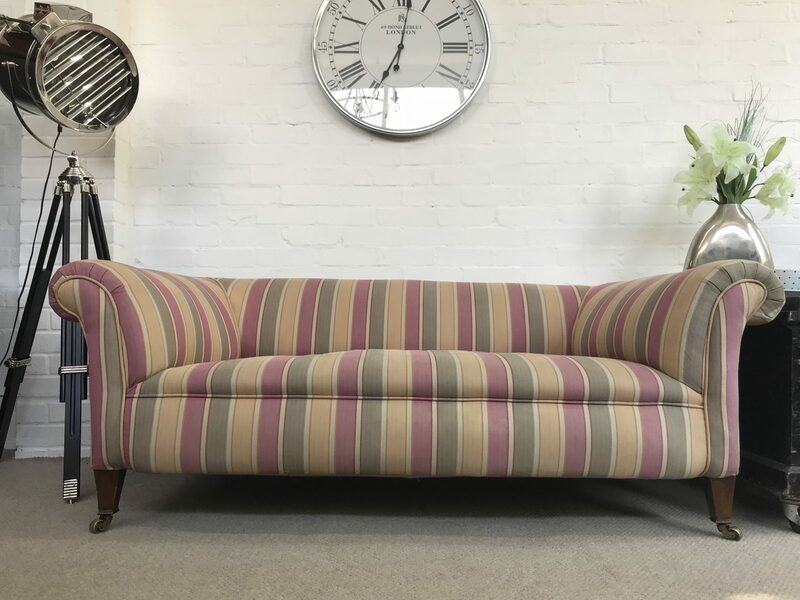 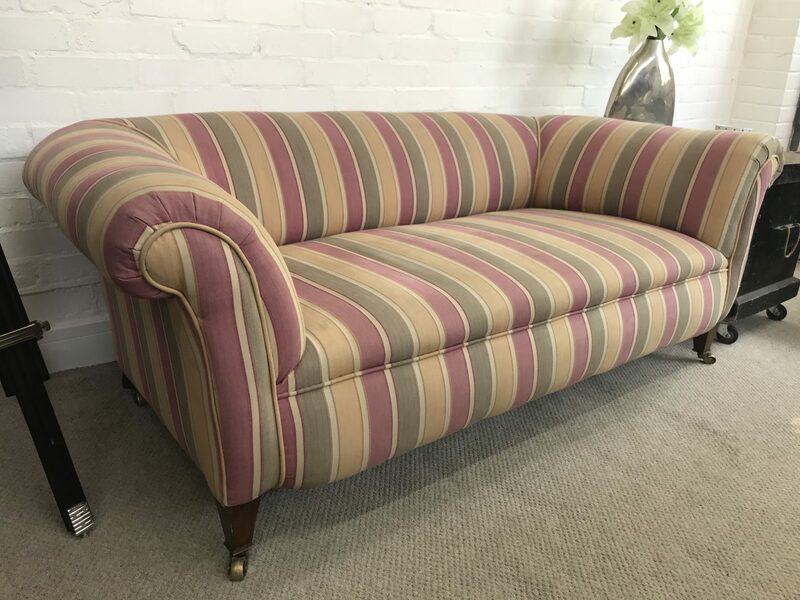 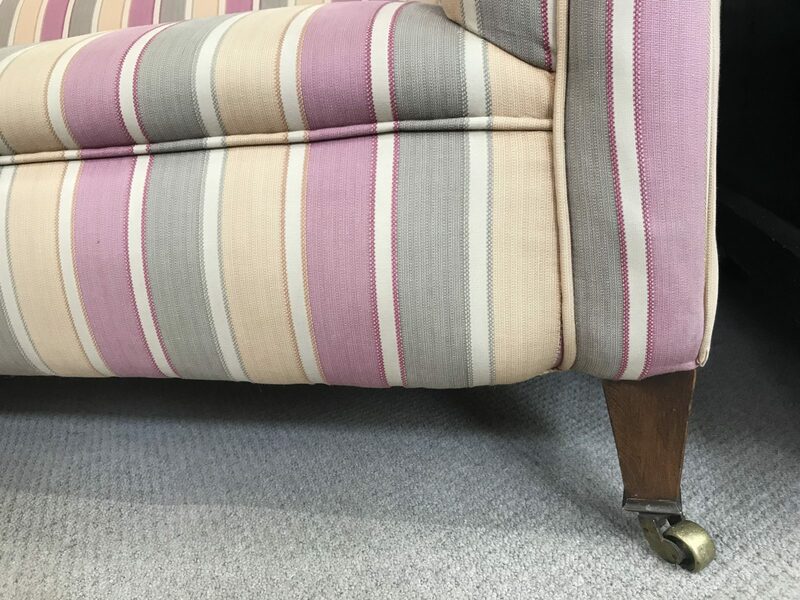 It is fully coil sprung and has been re-upholstered in a great choice of fabric which makes it so attractive.